A great promotional product to hand out at children's fairs, festivals, schools, banks, restaurants and much more! made of 20 pt. high density white paper board. Liquid laminated for a high gloss finish. Ships flat, minimal assembly required. 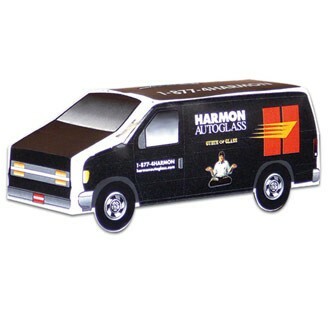 Makes an ideal promotional item for a variety of businesses. Size : 5" x 1 3/4" x 2"